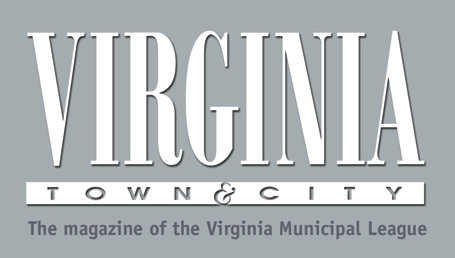 Virginia Town & City is published 10 times per year by the league as a service to its members. The magazine’s mission is to serve as a medium of information and ideas for Virginia’s local governments, as well as to inform the league’s membership of the activities of the organization. The publication focuses on providing timely information on issues affecting VML’s members such as finance, economic development, technology, education, public safety and environmental concerns. Upcoming themes for Virginia Town & City in 2019 include Procurements, Housing, Disruption Economy, Energy and more! We are happy to work with you to ensure that your advertising appears in the most appropriate issue(s). Annual features throughout the year include an introduction to VML’s new president, a legislative issue previewing the upcoming General Assembly session, the VML Innovation Awards issue honoring innovation and excellence in Virginia local government, the Annual Conference issue that highlights upcoming conference events and familiarizes attendees with the host locality, and the yearly review that provides an interview with the VML president. Other features will focus on our members’ new adventures, accomplishments and initiatives. Search the VTC past issues index. Advertisers, libraries, exchanges, subscribers, misc. Governor, Lieutenant Governor, Attorney General, state agency heads, and members of the General Assembly and Congress. Download the VTC Advertising Rates and Specifications sheet for the most current information. Use the VTC Advertising form to purchase your advertising. Advertisement Requirements – Advertisements submitted for publication must be digital, pre-press ready. Adobe Professional Acrobat documents or PDFs preferred; distiller setting at Press Optimized or Press Quality; include crop and bleed marks. Other acceptable formats; TIFF, EPS, JPEG. Image resolution set at 300 dpi. Additional production services required to incorporate advertisements into the magazine will be billed, in addition to the regular applicable rate, at publisher’s cost plus 10%. When new art is not received by the final closing date, the right is reserved to repeat the last submitted advertisement. All other ad production questions may be addressed to Manuel Timbreza, mtimbreza@vml.org. Color – Virginia Town & City is printed in full color process (CMYK). Multiple page color (additional spot color) rates available upon request. Special Page rates – Double-page, full center spreads, special folding and insert rates available upon request. VML Annual Conference Issue / September – The largest and most widely read issue of Virginia Town & City features the host locality as well as the league’s annual report and reports of affiliate groups. Issuance and Closing Dates – Virginia Town & City is published 10 times a year. Advertising closing date is the 1st of the month preceding publication, except September “Conference Issue” which closes July 18, 2019. Printing Process & Specifications – Offset printing; 150 line screen; 70# Camelot Velvet White Text self-cover (100# plus-cover for Sept. Conference issue); Printing and saddle stitch binding by B&B Printing, Richmond, VA. Cancellation Policy – Ad insertion schedules can be cancelled only by written notice when received by closing date. No cover cancellations accepted. Cancellations or changes will not be considered executed unless acknowledged by the advertising manager. Virginia Municipal League and Virginia Town & City accept no responsibility for changes. Billing – Billing follows publication. Finance charge of 1.5% monthly, 18% yearly for balances not received within 30 days. Disclaimer – Virginia Town & City reserves the right to reject advertising that it deems unsuitable and to refuse acceptance from advertisers of questionable credit or trade standing. Responsibility for claims and questions based on advertising contract is borne by the advertiser and advertising agency. All digital files should be e-mailed to Rob Bullington, rbullington@vml.org.